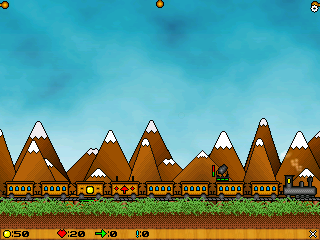 In this Tower Defence variant, bandits attack your train to steal the entire freight. Your task is to construct special turrets to defend the cars as long as possible. In Railroad Rampage all kinds of curious defenses are possible, including a car that shoots chili peppers. 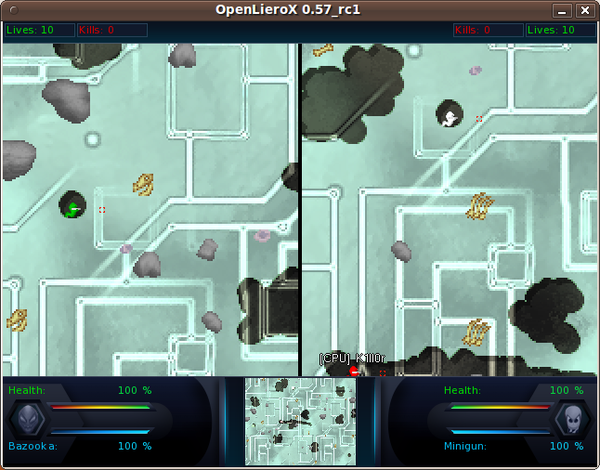 In split screen mode, two OpenLieroX players can fight their worm wars on one computer. Cube is just one of many games in Simon Tatham's Portable Puzzle Collection. Connectagramm provides an interesting variation on the old crossword puzzle. 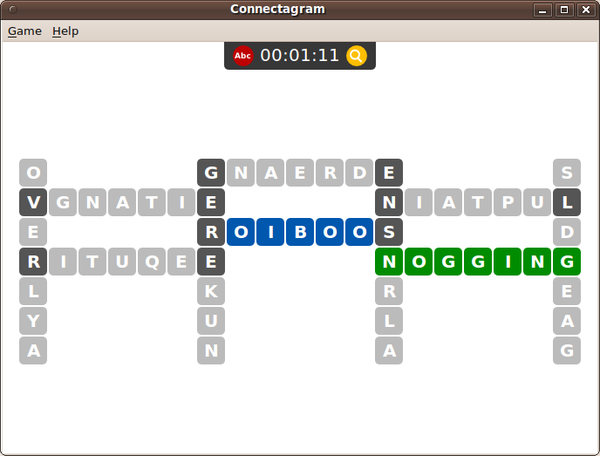 The game starts with a few scrambled words that need to be unscrambled. The dictionary is customizable and, in the reviewers case, located in /usr/local/share/connectagramm/words. You can add or delete words, to form a non-English version if need be. Connectagramm will enhance your English language skills. The puzzle game is a rather bold yet attractively presented BeJewled clone in which you swap objects in adjacent tiles. If three or more of the same object are in a row, they disappear. The idea is to remove as many objects as possible. 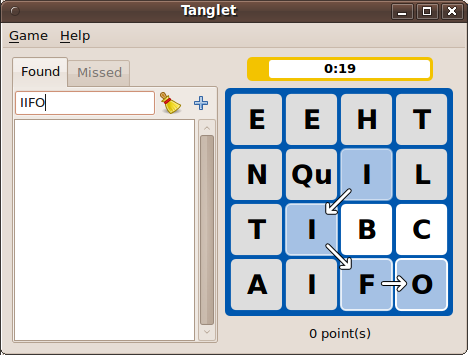 In this electronic version of Boggle, the player has to assemble as many words out of the 4x4 grid of characters, horizontally, vertically, or diagonally, as she can before the time runs out. A mouse click in Tanglet marks the progression of letters to form the word. The puzzler and strategy game rejuvenates the good old Boulder Dash on the PC. As a prospector, you tunnel for diamonds. Watch out for rocks, though, in that they can tumble in on bad tunneling work. 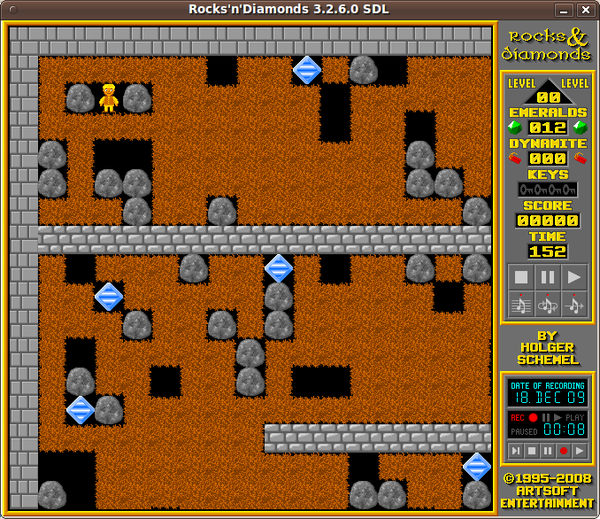 Rocks'n'Diamonds takes after the classic Boulder Dash game, yet provides more elements. 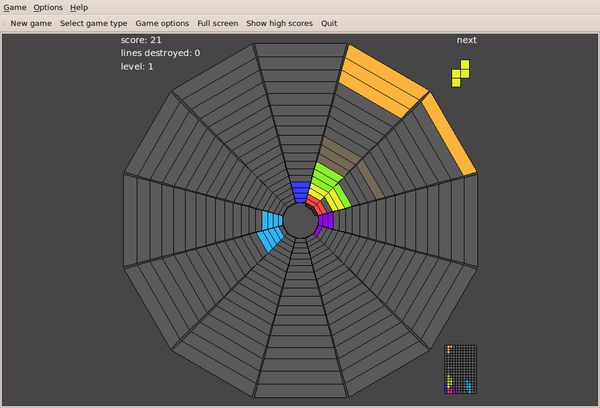 Wizznic brings a combination of Tetris and Sokoban to the screen. You shift small blocks with imprinted symbols around a maze, if two meet, they disappear. The goal is to empty the maze. 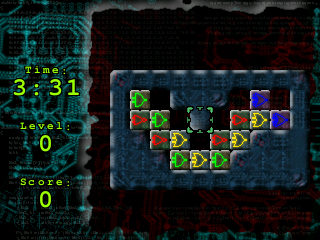 Wizznic is reminiscent of the legendary Amiga game Atomix. 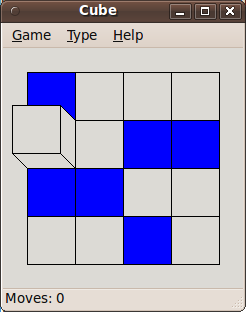 This simple Tetris clone has blocks of varying shapes fall into a cup. If three of the same touch, they disappear and your point factor goes up. A visually appealing version of the popular Italian card game. Knowing the rules of the card game helps in figuring out the menus in Italian. An enlarged BeJeweld clone. On a board game, place identical pieces next to each other by swapping. 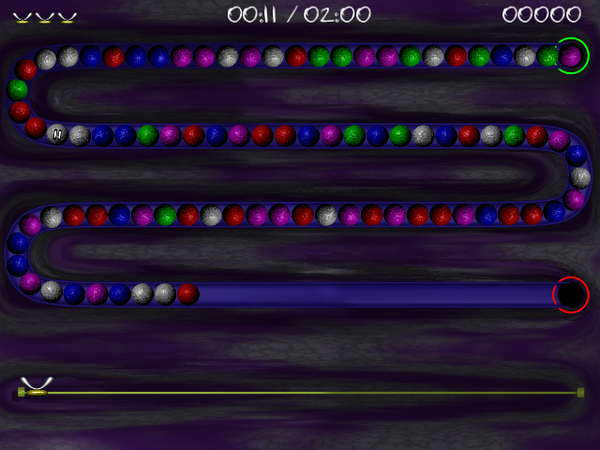 Colorful balls come rolling down a long, snaky chute. Swapping balls to bring the same colored ones next to each other takes them out of line. Zaz requires some quick reaction times. Visually appealing card game for multiple players. A kind of three-dimensional Tetris. Groups of blocks drop along the walls to the bottom of a funnel. Each successful placement raises the score. 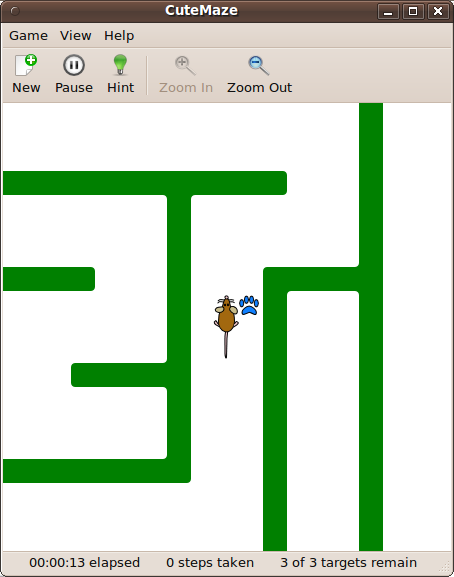 The player takes his character through a randomly generated maze. The game ends once all scattered targets are picked up. CuteMaze provides a choice of themes. A mouse has to find cheese or a penguin searches for fresh fish. Many computer games from the 1980s and 1990s enjoy cult status. Graphics and sound were not very advanced back then, which forced the producers to impress gamers with good ideas and a convincing level of design. Emulators let you run those classic games on a Linux PC. Build the ultimate Magnum Opus for a Mad Max stripped of his possessions.